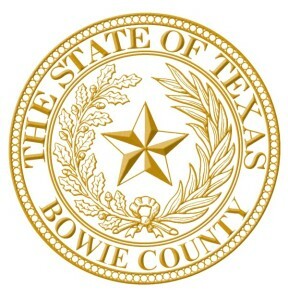 Agenda for the special session of the Bowie County Commissioners Court on Friday, the 29th day of August, 2014, at 10:00AM in the County Courthouse in New Boston, TX. Public Comments – public comments shall be limited to 3 minutes per presenter, who submitted a public participation form at least 15 minutes prior to the start of the meeting. Comments must be pertinent to an agenda item or an area for which the Court has jurisdiction. The total amount of time that is allocated is 30 minutes for all comments. Commissioners Court response to Public Comments. Consider and take action to bring back to the the table to authorize County Auditor to obtain legal and accounting guidance regarding overspending the net budget and general fund balance – Tom Whitten, Commissioner Pct. 2. Consider and take action to authorize County Auditor to obtain legal and accounting guidance regarding overspending the net budget and general fund balance – Tom Whitten, Commissioner Pct. 2. Consider and take action to bring back to the table to develop a plan for expenditures in excess of budget, net revenue or fund balance – Tom Whitten, Commissioner Pct. 2. Consider and take action to develop a plan for expenditures in excess of budget, net revenue or fund balance – Tom Whitten, Commissioner Pct. 2. Consider a report from the Chairman of the Financial Advisory Committee regarding reimbursement of taxpayer funds from the Courthouse Security Fund. Take action to obtain research and specific recommendation for the next meeting – Sammy Stone, Commissioner Pct 1. TEXARKANA, TX- The City of Texarkana, Texas will host two open house sessions regarding the city’s budget on Monday, August 7 at City Hall. Residents are invited to come provide input regarding the proposed budget at each meeting.